Thermage® is a FDA-cleared non-surgical procedure that uses radiofrequency energy to help smooth, tighten and contour skin for an overall younger looking appearance. Thermage® works by heating the under layer of the skin, known as the dermis. This heat causes collagen creation, called neocollagenesis. This new collagen makes the skin look firmer & tighter and improves the overall texture of the skin. Both men and women of all skin types who are looking to reduce fine lines and wrinkles as well as tighten the skin on their face or who wish to treat wrinkled, crepe like skin, sagging or bulging skin as well as the appearance of cellulite elsewhere on the body. 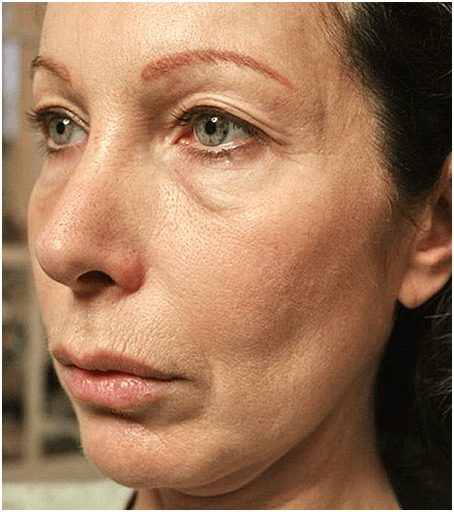 What areas can be treated with Thermage®? Thermage® can effectively treat most body parts, including the face, eyes, lips, abdomen, arms, hands, thighs and buttocks. Thermage® can also temporarily reduce the appearance of cellulite. Most patients only require 1 treatment. Thermage® treatments generally take 45 minutes for the face and up to an hour and half for other parts of the body, depending on the size, location and condition of the area to be treated. During treatment, your clinician will pass the Thermage® handpiece over your skin to deliver the radiofrequency energy. Each time the handpiece touches your skin, you will feel a brief cooling sensation, followed by a deep but brief heating sensation, followed by another cooling sensation. No anesthesia is required during the treatment as the pain is usually tolerable. If you do feel some pain your doctor may give you an oral medication to numb any discomfort. Since the treatment is non-invasive, there is little to no downtime, allowing you to resume regular activities right away. After treatment, you may have temporary redness or minor swelling that usually goes away within 24 hours. What kind of results will Thermage® produce? Results develop over time and you may see a tightening and lifting of the treatment area for up to 6 months following the procedure. While some immediate results may be seen, most patients begin to see results in the 2 to 6 months following treatment. These results can last over a year depending on your skin condition and aging process.